I love being part of the anthropological community in that there are always very active debates and eruptions on the nature of the field. The current eruption surrounds the replacement of the term science with that of public understanding in the AAA's Long Term Plan. The debate brings up painful memories of the divorce at Stanford when I was a graduate student circa 1997-1999. The department split into the Anthropological Sciences and the department of Social and Cultural Anthropology. They are back together again, but I here it is not a good marriage. But anyway, here is my response to the flurry of emails about the change on the Anthrodesign Yahoo Group listserv. The Psychology Today "article" reminds me that sometimes blogging is not the equivalent of journalism. The blog post is misleading and grossly unfair. The NYTimes article provides a somewhat more measured view, but it still frames the change as a negative "deepening rift." By replacing the word "science" with the term "public understanding" in its long-range plan, the AAAs is expanding its mission such that it no longer mandates a single form of knowledge production (e.g. science) but rather a uniform intention in terms of the outcomes of research. This is not the same as "ditching" science. There is nothing in the statement that says scientific inquiry cannot take place. I still assume that scientific inquiry has something to contribute to public understanding and will continue to do so. What perhaps the shift is indicating, which is causing the consternation, is that scientific inquiry is no longer the only privileged mode of knowledge production in anthropology, in which the change reflects merely the reality of the world today. I am currently reading the book, Decolonizing Methodologies: Research and Indigenous Peoples by Linda Tuhawia Smith (Zed Books: 1999). It should be required reading for anyone interested in this discussion. The relevant points from the book in relationship to the AAA's decision are how positivism, as part of scientific research, is interested in the "measurement of things" and the procedures of validity and reliability to guarantee their measurement (Smith 1999: 42). Epistomologically and ontologically, Smith argues that these processes, as embedded in research regardless of the specific discipline, inflicts violence on indigenous peoples because it set up "rules of classification, rules of framing (representation), and rules of practice (evaluation)" in which indigenous societies have been brought into the Western system of knowledge as inferior (Smith 1999: 43). She notes that anthropology is the most hated of disciplines among indigenous peoples because of its theft of indigenous knowledge, artifacts, even bodies. This is in spite of the relationship indigenous communities may have with individual anthropologists. The AAA has made great efforts to engage indigenous peoples as active participants, not just subjects, of anthropological inquiry. 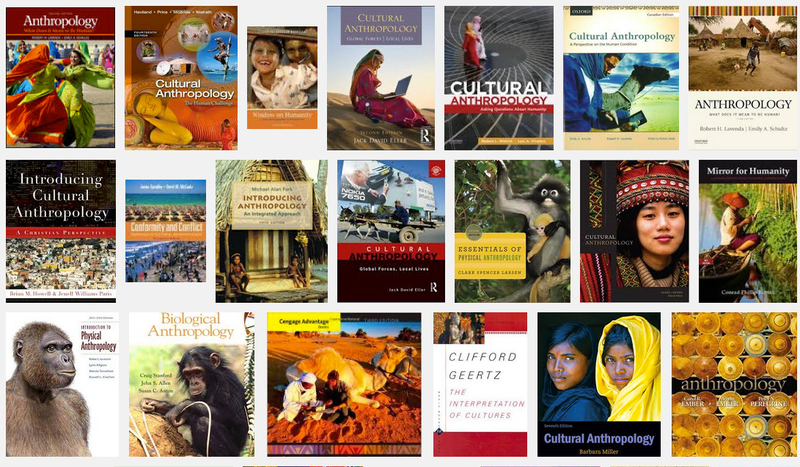 The establishment of the Association of Indigenous Anthropologists section in the AAA in 2007 has been a major step. Again, in my view, this change is not about excluding scientific inquiry, as sometimes you need to measure things depending on the kinds of questions you are asking, but rather about leaving an opening in the kinds of inquiry that takes place in the field as long as it addresses the main goal to "...advance public understanding of humankind in all its aspects." I belive this is a positive direction for the field. Got this off of Design Observer, but John Curran has posted a list of the greatest hits of anthropological and social theory diagrams on Flickr. This makes me happy for two reasons. First, I have always bristled at the notion that anthropologists are more textually-oriented than visual, that somehow there is no culture of the visual in the field. Having misspent my youth trying to figure out the subtleties of kinship diagrams, mastering the art of reading archaeological site maps, and illustrating the distinct morphology of early hominids (pre-humans), I knew that to be empirically untrue. So I am happy to have the vindication through visual documentation that Anthropology has always been visual. So the next time a designer colleague of mine accuses me of being too textual, or more often, seems shocked that I know how to draw a diagram. I can point them to the Great Diagrams of Anthropology, Linguistics, and Social Theory with pride. Gabriel Biller and Kristy Scovel, graduating students at ID @ IIT just released their video, starring me (way too much of me, I should have wore more make-up) on ethnography and interviewing called, "Getting People to Talk: An Ethnography and Interviewing Primer"
The IIT Institute of Design is a graduate school of design dedicated to advancing the methods and practice of human-centered innovation. We believe that real innovation starts with users' needs and employs a set of reliable methods, theories, and tools to create solutions to their problems. Ethnography and interviewing are how we, as designers, see the world through other people's eyes and get them to tell us their stories. In the spring of 2008, we talked to professors, experts, and students about this philosophical orientation and how to actually get people to talk. To ground things a bit, we took a look at a truly universal article of clothing – denim jeans – and set out to understand: "Who's buying premium denim and why?" Ephemerality is so often the casualty of any kind of progress, as production of any kind is invariably supplanted by quicker, cheaper, more efficient means. In this case, the more the physical object is compromised by speedy transmittal, the more our definitions of design, and of the methods that produce it, must adapt to new conceptions of both method and manufacture. Is this part of the further democratization of design for "the people" (i.e. Walter Benjamin's argument in The Work of Art in the Age of Mechanical Reproduction? Is it part of the de-skilling of design for designers and printers? I think I could live with those outcomes in some ways. Designers primarily concern themselves with how to create a "successful" communication, product, or experience. But with the past 10 years of globalization, digitalization, and ever increasing design complexity, designers have come to realize that to answer the question of design "success" requires that they answer that question of how the processes and artifacts of design help define what it means to be human. Also in my publishing forays, I was quoted by Rick Poyner in his May 2008 ID Magazine article, Down with Innovation. The quote was “There is an inherent intelligence to beauty, which is about the depth and passion we feel for the world.” Tee hee. I did not even know I was quoted in the article until an ID undergrad student told me. The quote comes from a comment I left on Design Observer about the power of beauty. Last night I watched the film, Helvetica, by Gary Hustwit. While it is an amazing film about typography and provides an interesting history of the Swiss modern typeface, Helvetica, it was struck by the lack of ethnic and even gender diversity among the interviewees. Of the 22 + interviewees, only 4 were women, 0 were people of color, leaving the rest to be European or Euro-American white males. Okay, historically I can see how the designers from the 50s and 60s would be the euro white male, but why were there no people of color among the later designers. Paula Scher and David Carson, and Stefan Sagmeister criticized Helvetica for ideological reasons, but what about someone like Saki Mafundikwa, who could criticize it for its colonial rationality. Okay, maybe it's the Holiday season, but I cannot get Steve Hahn's project out of my head. Why is it that graphic designers never talk about/write about communication design and religion? According to his bibliography, he had not come across Daniel Kantor's Graphic Design and Religion: a Call for Renewal (Gia Press 2007). I will have to purchase it now that my interest is peaked.